The Philadelphia Inquirer Editorial Board offers an editorial on the city’s corruption and lack of voter interest. Philadelphia’s highest law enforcement officer pleaded guilty this morning to taking a bribe and the city shrugged — again. Turnout in DA races is notoriously low even though the consequences are literally life and death. 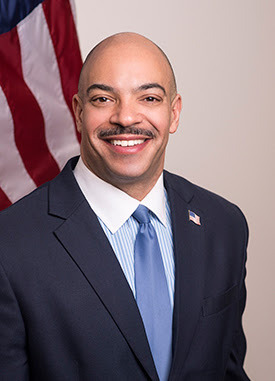 If the district attorney is doing his job, he can reduce neighborhood violence and save lives. He can make the difference between whether a person is charged with a crime that carries a life-ruining sentence or is given a chance at redemption. Voters say there are too few good choices, and they’re right about that. 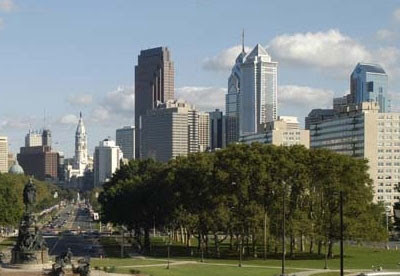 Philadelphia tolerates being a one-party town. Enough Democratic officeholders have been convicted in recent years to fill a cell block. …Republicans don’t escape blame either. The city GOP is so weak, it’s just about DOA. The party doesn’t finance strong candidates. It may be too content with the GOP patronage jobs at the Philadelphia Parking Authority to rock the boat. 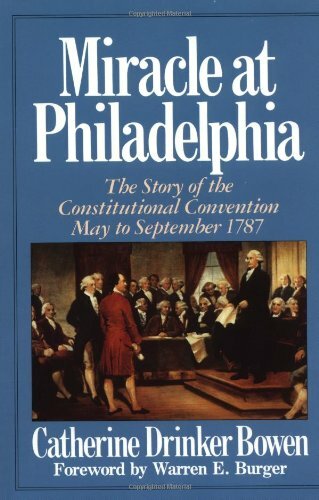 Besides accepting criminal politicians, Philadelphia has an uncanny comfort level with little thefts; the ones pols say are legal, or arrogantly proclaim are well-deserved rewards for jobs they decide are well done. Note: Seth Williams is seen in the top photo, which reminds me of the Esquire magazine's old satiric caption, "Why is this man smiling?" “Just last month, a Utah federal judge issued a sentence of life plus 80 years to Roberto Roman, a criminal alien who had been removed from our country three times prior to 2010. Those three deportations, and even time in state prison, were not enough to dissuade Roman from returning to rural Utah where he trafficked methamphetamine to addicted residents. “In 2010, Millard County Utah's first female deputy sheriff, Josie Greathouse Fox was working with her partners to curtail drug dealing in the wide open spaces of rural Utah. She intercepted Roman on dark, lonely highway in his big Cadillac. Roman is an amoral criminal, and he had no intention of complying with U.S. Law. 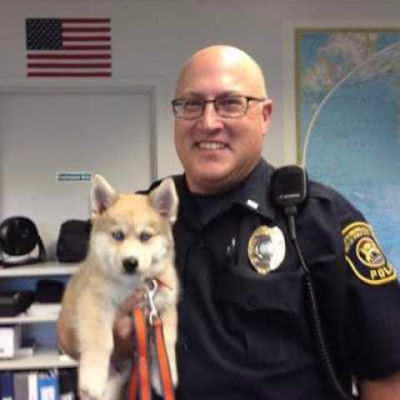 Without warning or remorse, he gunned down Deputy Fox with an AK-47 style semi-automatic rifle and left her to die in the middle of the road on a frigid January night. 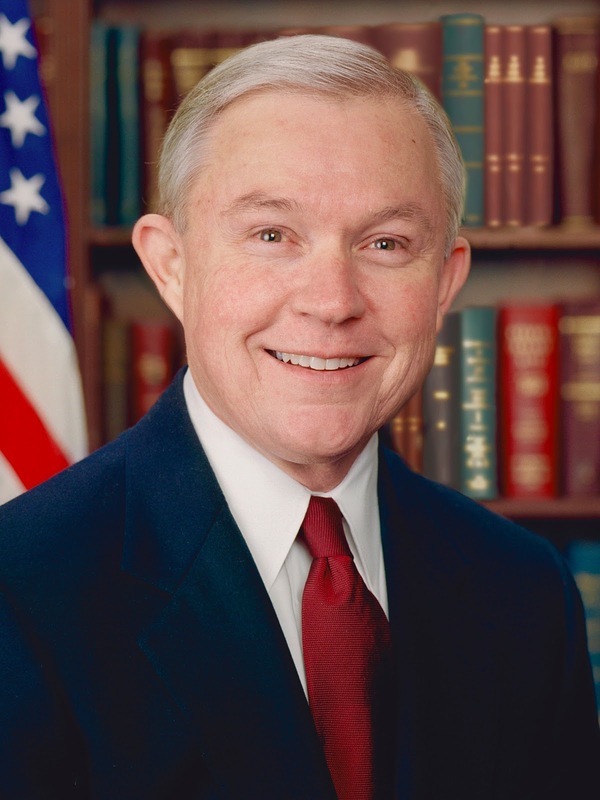 “In 2011, in a different case, another Utah federal judge sentenced three MS-13 gang members to 15 years each for their role in a Mexican cartel marijuana farm in the pristine Dixie National Forest of Southern Utah. These thugs had been recruited to provide operational security for the illegal farm and were in possession of multiple firearms in connection with the drug operation. Although Utah has not suffered violence at the hands of MS-13 like California and states here in the east, we see its influence creeping ever closer. Even still, other transnational gangs (Nortenos and Surenos) and drug trafficking organizations do have an outsized impact on public safety in Utah and the mountain west. 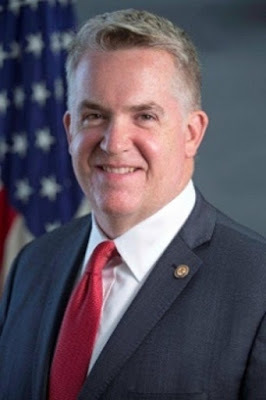 “I am a career prosecutor and I am beginning my third year as a United States Attorney -- which makes me one of the longest tenured US Attorneys presently serving. Both as a line prosecutor and as a lead prosecutor, I have dutifully served under both Democrat and Republican administrations. Utah perennially leads interior districts in criminal alien prosecutions where we charge and convict hundreds of criminal aliens each year (average 300 in 2015, 2016, and projected 2017) who ignore our laws and re-enter our country unlawfully over and over again. To be clear, these are criminals with Rap sheets as long as their arms in many cases: violent criminals, drug traffickers, gang members, domestic violence abusers, child exploiters and human traffickers. 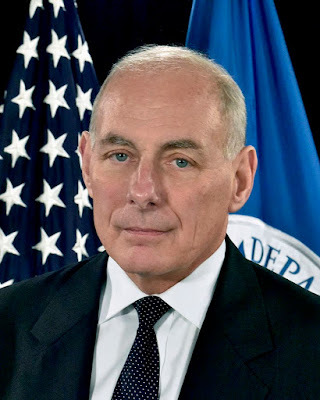 “From my perspective in the presumptively safe mountain enclave of Utah, criminal aliens significantly impact our quality of life by exposing our nation to an unwarranted risk of violent crime. If it’s a problem in Utah (40% of Utah's cases), it’s a problem nation wide. Law enforcement officers and prosecutors need more tools and unfettered coordination to address the challenge. “This pending legislation -- "Kate's Law" and the "No Sanctuary for Criminals Act" -- advance the ball for law enforcement in keeping our communities safe. The laws, if passed, would give officers and prosecutors more tools to protect the law-abiding public. “Stiffer penalties for re-entry offenders make sense. The status quo is just not deterring the criminals from returning. (As an example --- Just today, in Salt Lake City, my office initiated one more prosecution in what is projected to be over 300 federal felony cases by year end against criminal aliens. This defendant's record indicates that he has been convicted 4 times for drug trafficking and 2 times for unlawfully re-entering the United States after deportation. Well, he's back in Utah and this year he was arrested once again for drug trafficking). "Kate's Law" enhances our ability to stem the tide of criminals who seem to almost always return to victimize us. 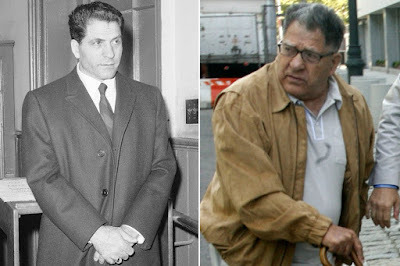 The New York Post offers a piece on Bonanno Cosa Nostra crime family capo Vincent Asaro. Bonanno crime ​family capo Vincent Asaro assured a judge he’s no rat Tuesday, as he ​copped to charges that he ordered henchmen ​– including the namesake grandson of the late Gambino boss John Gotti — ​to torch the car of a driver who cut him off in 2012. As Asaro took a plea deal, Judge Allyne Ross suggested he ditch defense attorney Elizabeth Macedonio, who is ​also ​representing his loan shark nephew Ronald Giallanzo, because it would be ​dangerous ​for Asaro to ​potentially ​turn ​government ​witness while his lawyer reps other ​wiseguys. But the 82-year-old Asaro, who dodged prison for his role in the 1978 Lufthansa heist​ immortalized in the film “Goodfellas​,​” and ​who ​has previously threatened the life of the prosecutor in the arson case, told the judge in no uncertain terms that he’s no rat. 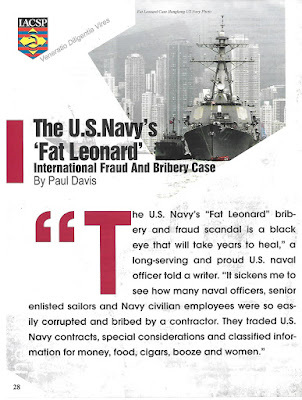 Brock Vergakis at the Virginian-Pilot offers a piece on a U.S. Navy officer who is the first officer charged by the military in connection to the “Fat Leonard” bribery and fraud scandal. A former fighter pilot charged with accepting bribes and gifts that included prostitutes, four suckling pigs and tickets to a Julio Iglesias concert as part of the expansive “Fat Leonard” scandal appeared at the military equivalent of a preliminary hearing Monday. Cmdr. David Alexander Morales is the first Navy official to be charged by the military in connection with the “Fat Leonard” case, which until now has been prosecuted in civilian federal court in San Diego. Monday’s hearing will help determine whether there’s probable cause to take the case to court-martial. 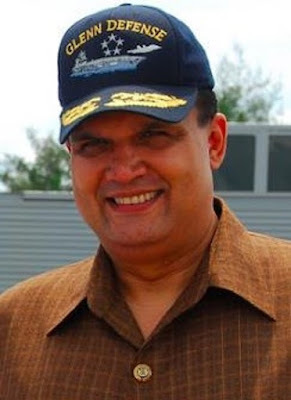 “Fat Leonard” is the nickname given to Leonard Francis (seen in the above photo), the owner and chief executive of Glenn Defense Marine Asia. Francis pleaded guilty in 2015 to presiding over a decade-long conspiracy involving “scores” of U.S. Navy officials, tens of millions of dollars in fraud and millions of dollars in bribes and gifts, according to the Justice Department. The massive scheme involved awarding Glenn Defense Marine Asia lucrative contracts to provide services to U.S. ships while in southeast Asia. 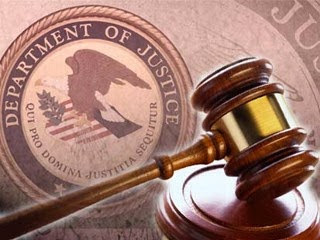 At least 20 current or former U.S. Navy officials have been charged in the fraud and bribery investigation. The U.S. Navy released the above photo of sailors manming the rails of the Nimitz-class aircraft carrier USS Carl Vinson (CVN 70) as it returns to its homeport at Naval Air Station North Island, Calif. The Carl Vinson Carrier Strike Group successfully completed a five-month deployment to the western Pacific. I recall manning the rails as a young sailor aboard the aircraft carrier USS Kitty Hawk as we returned to San Diego from a WESTPAC deployment in 1971. Note: The above photo was taken by Mass Communication Specialist 3rd Class Elton Charles Wheeler. 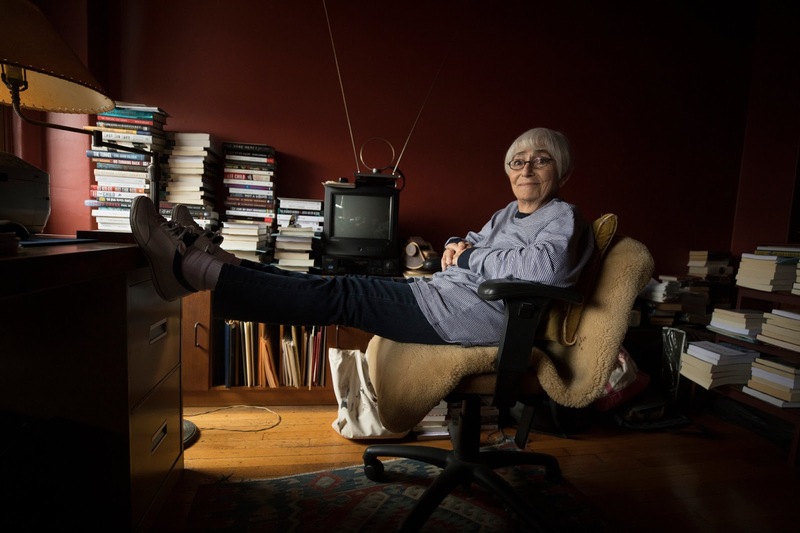 Daniel Fromson at the New York Times offers a piece on Marilyn Stasio, who writes a crime round-up column for the New York Times. Times Insider delivers behind-the-scenes insights from The New York Times. Visit us at Times Insider and follow us on Twitter. Questions or feedback? Email us. My wife and I watched Patriots Day on Comcast Demand TV tonight. 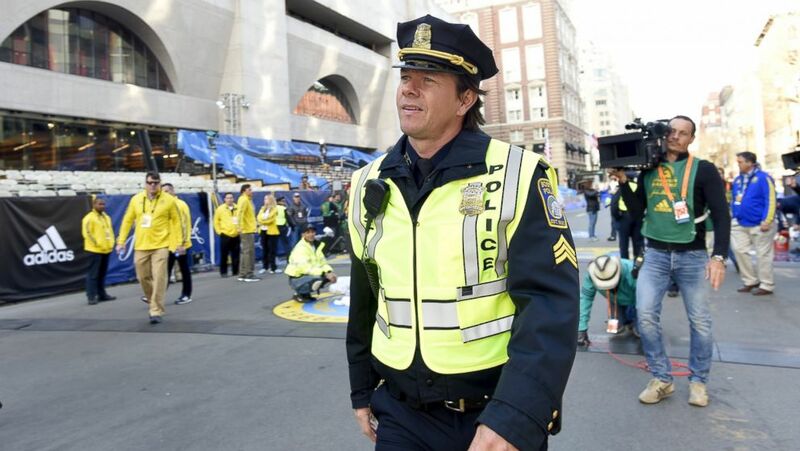 The film, directed by Peter Berg and starring Mark Wahlberg, who was also the film's producer, is about the Boston Marathon bombing in 2013. 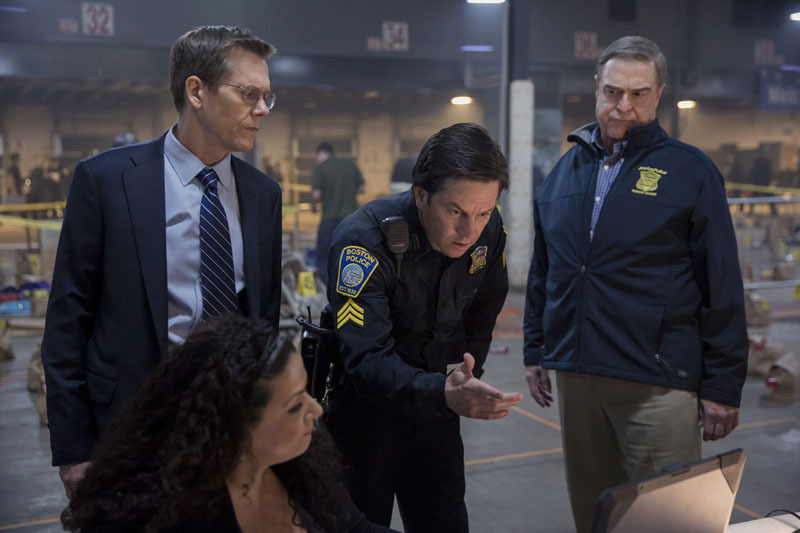 Patriots Day is a powerful film with a fine cast that includes John Goodman and Kevin Bacon. The film does a good job of showing us the horror of the bombing, the suffering of the victims and the bravery of the police and the medical people who quickly responded. They didn't know if there were more bombs set to explode after the two bombs went off, but they charged in and did their jobs anyway. 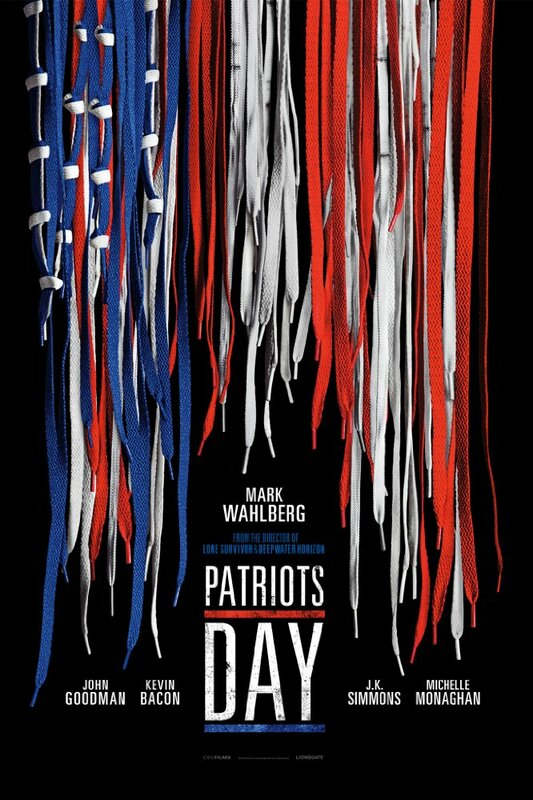 Peter Berg is a good director of action films about military people and he handles the police action well in this film. 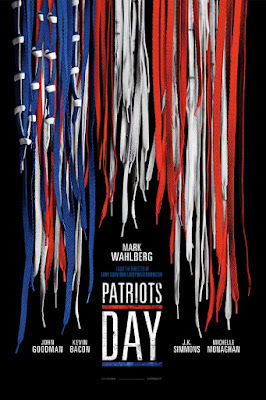 The film makes one angry at the heartless terrorists, who killed an eight-year-old boy and others, and the film makes one proud to be an American. As History.com notes, on this day in 1950 the Korean War began. 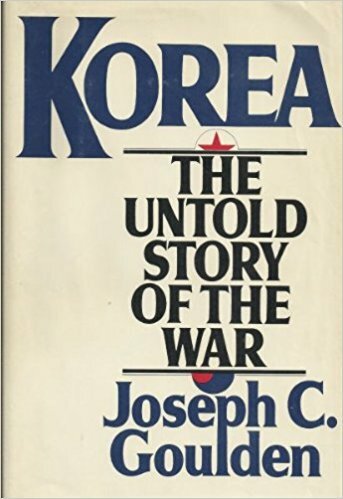 And if you want to know more about the Korean War I recommend that you read Joseph C. Goulden's Korea: The Untold Story of the War. 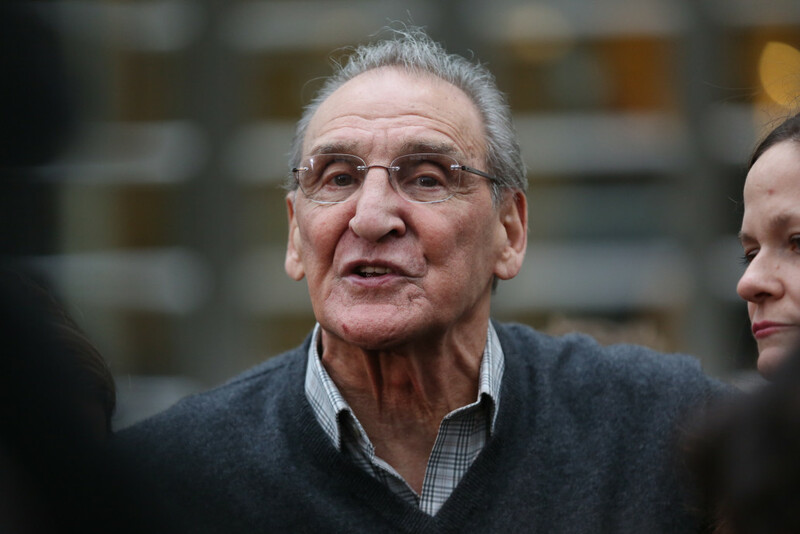 Michael Hechtman at the New York Post offers a piece on a 100-year-old mobster released from prison. Geriatric gangster John “Sonny’’ Franzese — the oldest guest of the federal prison system — is a free man at the age of 100. The Colombo family underboss was rolled out of the Federal Medical Center in Massachusetts in a wheelchair Friday and headed to the home of his daughter in Brooklyn, Newsday reported. At the age of 93, he was sentenced to eight years in prison for shaking d own the Hustler and Penthouse strip clubs in Manhattan. 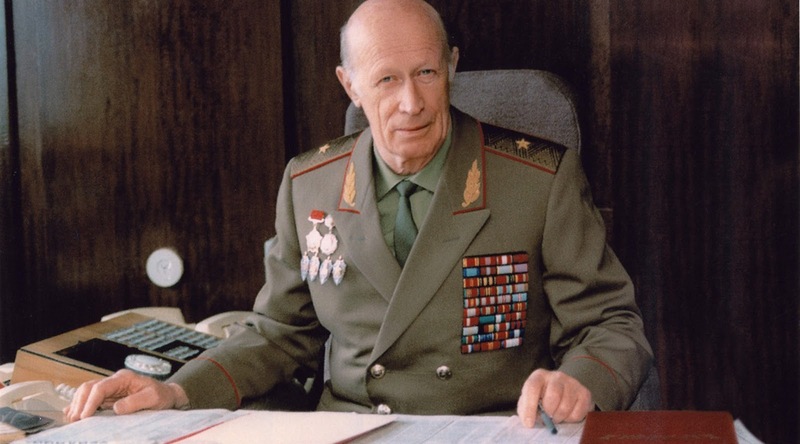 Authorities said at the time the doddering don — whom they believed responsible for the murders of between 50 and 100 people — could be released at the age of 100 if he behaved himself in the lockup. 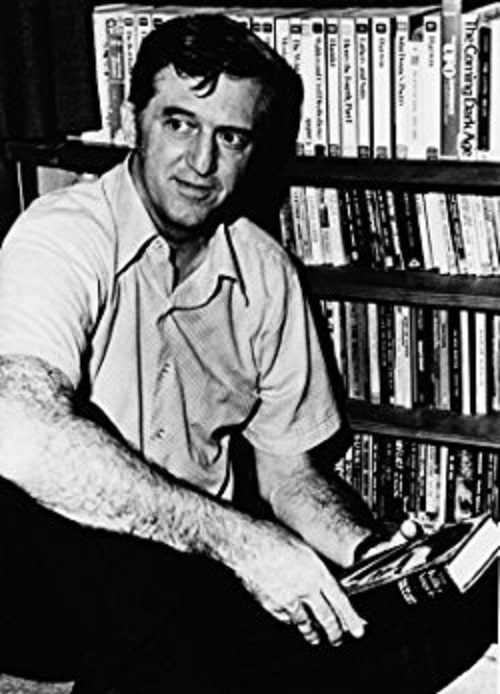 As History.com notes, on this day in 1929 Pulitzer Prize-winning author Michael Shaara (seen in the below photo) was born. 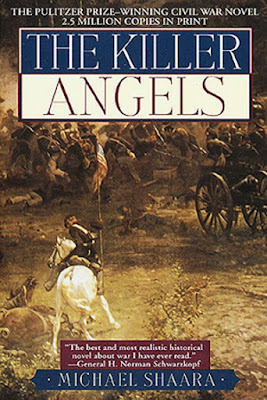 His novel about the Battle of Gettysburg during the Civil War, The Killer Angels, is one of my favorite historical novels. Victor Davis Hanson offers his take on President Trump and his generals in a piece in the Washington Times. Donald Trump earned respect from the Washington establishment for appointing three of the nation’s most accomplished generals to direct his national security policy: James Mattis (secretary of defense), H.R. McMaster (national security adviser) and John Kelly (secretary of homeland security). In the first five months of the Trump administration, the three generals — along with Secretary of State Rex Tillerson, the former ExxonMobil CEO — have already recalibrated America’s defenses. At home, illegal immigration is down by some 70 percent. 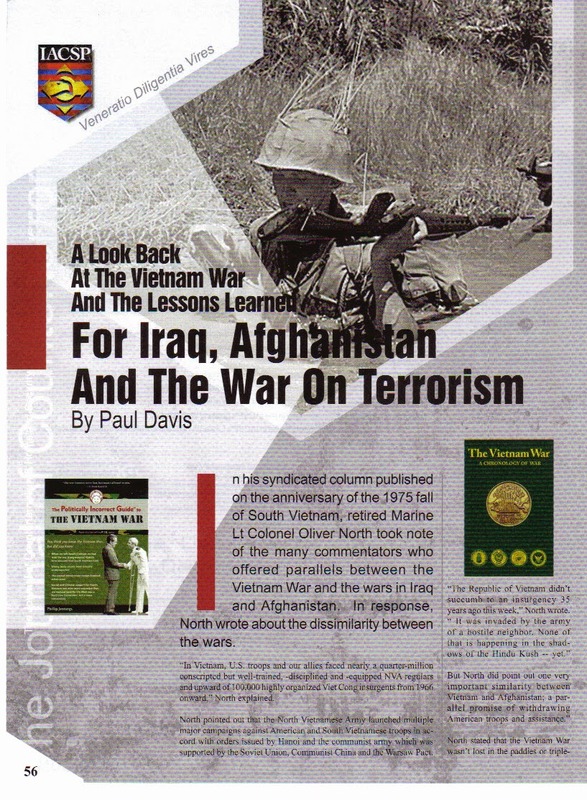 Abroad, a new policy of principled realism seeks to re-establish deterrence through credible threats of retaliation. The generals are repairing old friendships with allies and neutrals while warning traditional enemies not to press their luck. President Trump has turned over most of the details of military operations to his generals. 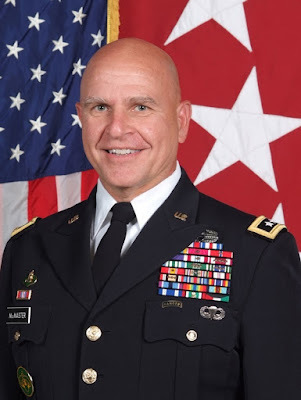 According to his critics, Mr. Trump is improperly outsourcing to his generals both strategic decision-making and its tactical implementation. But is Mr. Trump really doing that? In his campaign, Mr. Trump vowed to avoid new ground wars while not losing those he inherited. He pledged to wipe out ISIS and radical Islamic terrorism without invading Middle Eastern countries to turn them into democracies. Those are wide but nonetheless unmistakable parameters. Within them, the U.S. military can drop a huge bomb on the Taliban, strike the chemical weapons depots of Syria’s Bashar Assad, or choose the sort of ships it will use to deter North Korean aggression — without Mr. Trump poring over a map, or hectoring Gen. Mattis or Gen. McMaster about what particular move is politically appropriate or might poll well. Other presidents have done the same. Note: The top photo is of General McMasters. The middle photo is of General Mattis and the above photo is of General Kelly. 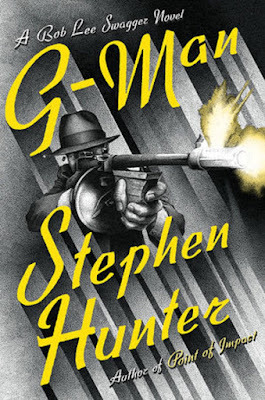 The Washington Times published my review of Stephen Hunter’s G-Man. “Don’t shoot, G-Man,” Machine Gun Kelly cried out to the federal agents who were moving in to arrest him in 1933. The term later came to be synonymous with FBI special agents. 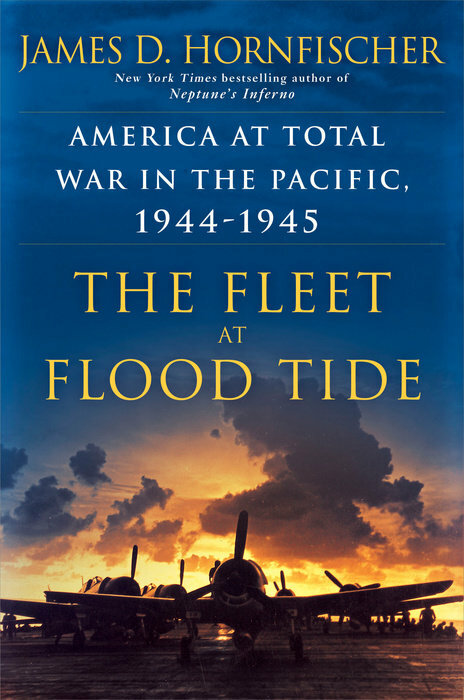 As Bryan Burrough noted in his excellent true crime book “Public Enemies: America’s Greatest Crime Wave and the Birth of the FBI, 1933-34,” J. Edgar Hoover publicly mandated that all agents have a law degree, but he quietly, and wisely, also hired Southwestern lawmen to compliment his lawyer-agents. These “Cowboys,” as they were known, were knowledgeable about firearms and had considerable experience with gunfights against armed and desperate criminals. As the federal agents were going up against violent bank robbers such as Pretty Boy Floyd, Baby Face Nelson and John Dillinger, the Cowboys were needed to back up the inexperienced agents with law degrees. 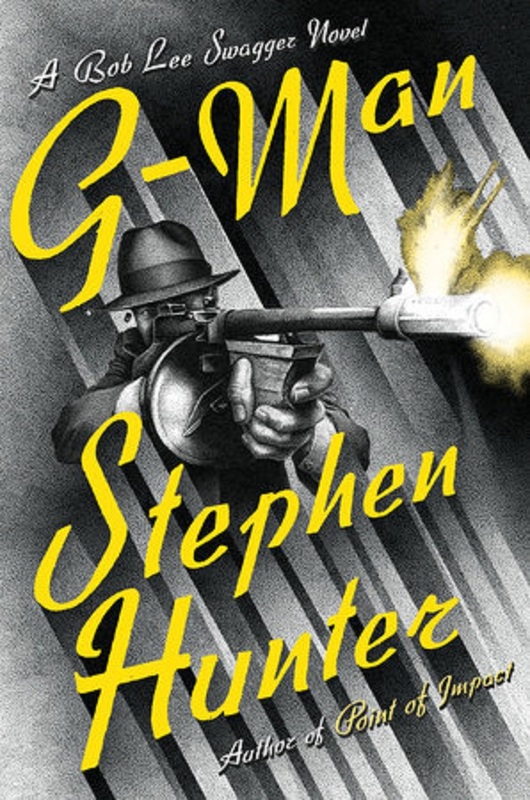 In Stephen Hunter’s thriller “G-Man” Charles Swagger, a World War I hero and sheriff of Polk County, Arkansas, is one of the Cowboys. 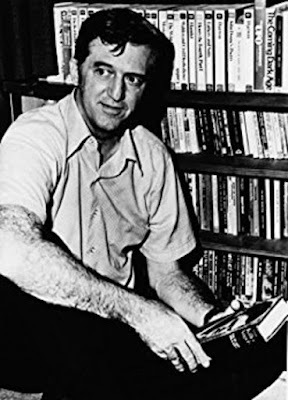 The Justice Department’s Division of Investigation, later renamed the Federal Bureau of Investigation, needed men in like Charles Swagger to go toe-to-toe with the violent bank robbers and gunmen of the 1930s. 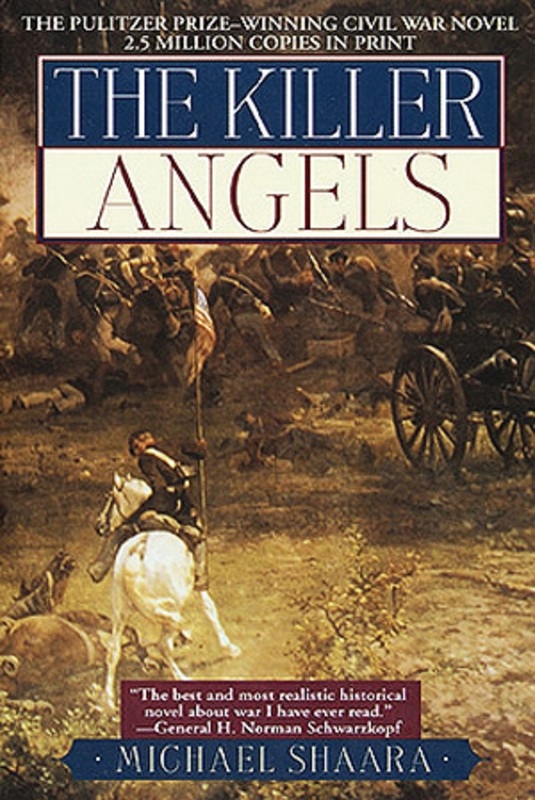 In Mr. Hunter’s series of thrillers about the fictional Swagger family, Charles Swagger is the grandfather of Bob Lee Swagger, a former Vietnam War Marine sniper, and father of Earl Swagger, a former World War II Marine Medal of Honor winner and Arkansas state trooper. All of the Swaggers are gunmen and Mr. Hunter, a gun enthusiast, writes knowledgeably about guns. … All of the infamous criminals and famous lawmen from the Depression-era make an appearance in the novel and Mr. Hunter places Charles Swagger at the center of every famous gunfight. 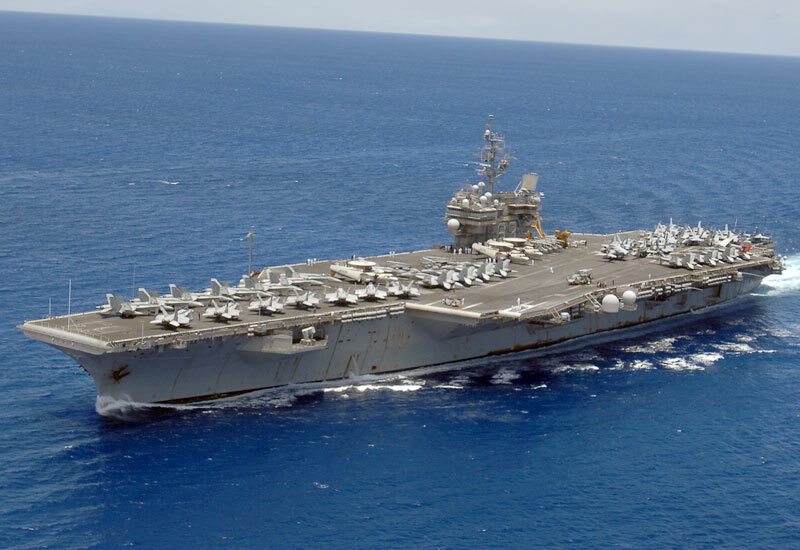 Kyle Mizokami at Popular Mechanics offers a list of U.S. Navy collisions at sea (which includes my old ship, the aircraft carrier USS Kitty Hawk). U.S. Navy ships operate in close proximity to other ships all the time, from steaming in formation with supply ships to sailing in busy sea lanes. Inadvertent contact between ships, no matter how thorough the precautions, is inevitable. Today's New York Times includes a list of collisions involving U.S. Navy vessels at sea. The list includes the famous USS John F. Kennedy/USS Belknap collision, which resulted in the guided missile cruiser's superstructure being virtually sheared off. 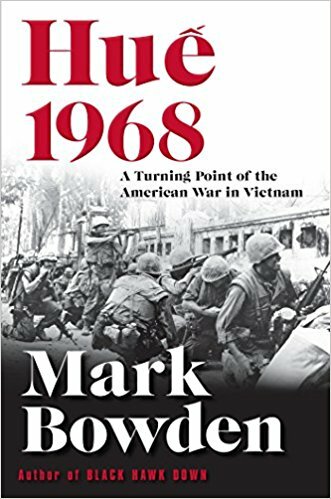 It also lists the sinking of the Spanish fishing boat Barcona, which accidentally snagged the attack submarine USS Houston and was dragged underwater. 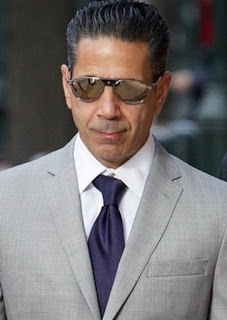 Kaja Whitehouse at the New York Post offers a piece on accused Philadelphia Cosa Nostra boss Joseph Merlino, who will soon stand trial on racketeering charges. Accused Philly mob boss Joey "Skinny Joey" Merlino wants to stay close to the cheesesteaks. 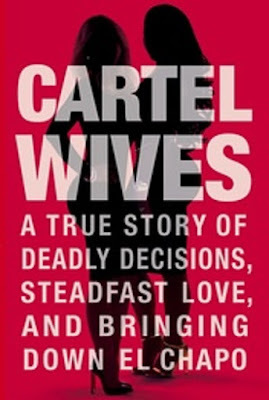 Pamela K. Browne and Cyd Upson and Foxnews.com offers a piece on a pair of Cartel wives whose drug trafficking husbands have become informants and will soon testify against their former boss, Joaguin “El Chapo” Guzman. Daughters of Chicago police officers, Mia and Olivia married Pedro and Margarito Flores Jr. as the brothers rose from street-level dealers to running Joaquin "El Chapo" Guzmán's Sinaloa drug cartel in the United States. "They made a lot of money," Mia said in an exclusive, on-camera interview with Fox News Chief Intelligence Correspondent Catherine Herridge. "My husband and brother-in-law were a big asset to him. They knew the U.S. inside and out, they knew the roads, they knew how to maneuver in the U.S. And that's something Chapo and his team didn't know how to do." The lavish lifestyle came crashing down in 2012, when the twins were each sentenced to 14 years in prison for smuggling 71 tons of cocaine and heroin and $2 billion in cash into the United States. The Flores brothers were the highest level American drug traffickers to be flipped by the Drug Enforcement Agency--DEA, and key to bringing El Chapo to U.S. justice. Key to the prosecution's case, they are expected to testify at his 2018 trial in New York City. "I would say that they're probably the strongest witnesses in this case," Olivia said in the interview, at which she, like her sister-in-law, wore dark glasses and a wig. 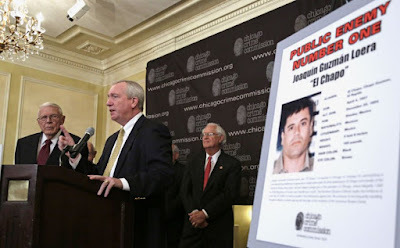 "They were the first to ever get El Chapo Guzmán on a recorded conversation. They're U.S. citizens. They speak English. They've trafficked drugs across the U.S."
"We do not share our real names,” Olivia told Fox News. “We have to constantly hide. We have to constantly remember our lies. We don't mingle with neighbors. We try to just fly under the radar and try not to get noticed. We're soccer moms. We're on the PTA. We're in car line. We're dressed in sneakers every day. And we're just trying to give our children a normal life." Their fear is real, according to recently retired Drug Enforcement Administration Deputy Administrator Jack Riley (seen in the above photo in front of a wanted poster of Guzman), who spent more than a decade hunting El Chapo. He said El Chapo is directly responsible for the deaths of tens of thousands of people. "Look, I hate the guy,” Riley said. “When I was on the border some 10 years ago, sluggin' it out with what was going on in Juarez, he put a bounty on my head. I was a little upset about it, because it was only $100,000, but he put a bounty to have someone cut my head off. 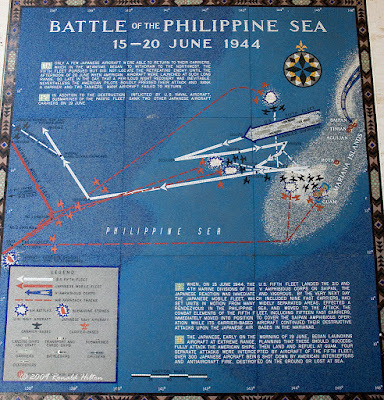 As History.com notes, on this day in 1944 the United States Navy won a major victory over the Japanese in the Battle of the Philippine Sea. 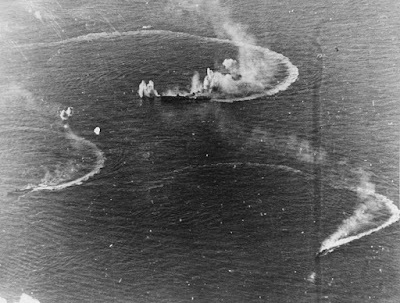 In 1944, in what would become known as the “Marianas Turkey Shoot,” U.S. carrier-based fighters decimate the Japanese Fleet with only a minimum of losses in the Battle of the Philippine Sea. 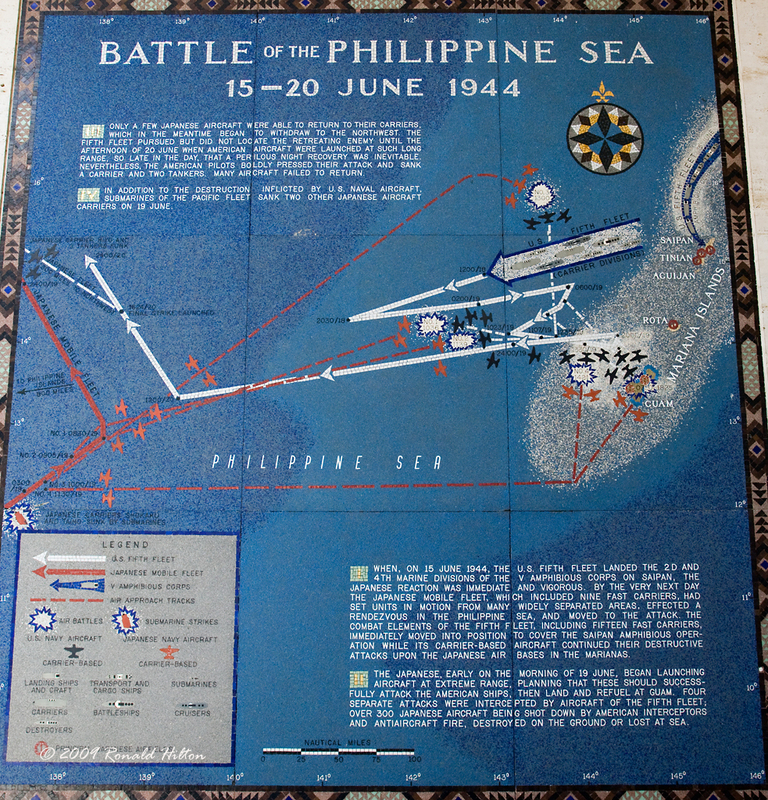 The above photo is of the American Memorial in the Philippines. 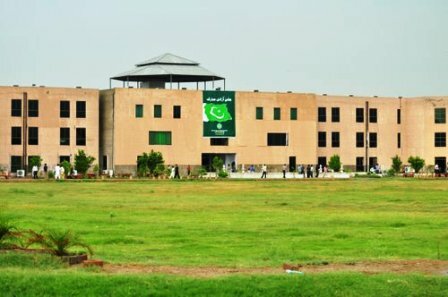 I visited there in 1971. Note: If you want to know more about the Battle of the Philippine Sea I suggest you read James D. Hornfischer's excellent book, The Fleet at High Tide: America At Total War in the Pacific, 1944-1945.